“The ultimate template for divinely proportioned apps.” A collection of widths and heights based on the topbar-height of 88 pixels that relate according to the golden ratio. 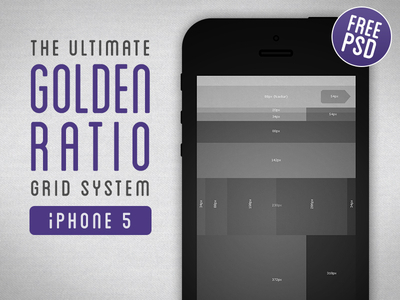 Golden Ratio Grid System for iPhone 5 is a free design resource made by Dribbble user Tom Reinert. As far as I can tell, its license is Unknown.